If you are on a weight loss diet, redcurrants, blackcurrants or even white currants are a fantastic almost fat free healthy snack. Their fat content is almost non-existent and they contain no cholesterol. Calories per portion (100g or 3.5oz) are also very low with just 56 calories for blackcurrants and 63 for red and white currants. Below we show the nutrition levels for all three currants. Comparing the red and white varieties against blackcurrants, it’s interesting to note that for the majority of minerals and vitamins, the blackcurrant is better. One portion of blackcurrants provides three times the recommended daily intake (RDI) of vitamin c, even redcurrants provide 68% of our RDI. Blackcurrants are full of anthocyanins which give them their wonderful colour and are full of antioxidants. They rate very highly on the US Departments of Agriculture’s (USDA) ORAC table which is a measure of a fruit or vegetable’s antioxidant capacity. Unfortunately redcurrants are still to be rated. 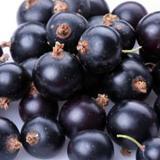 Blackcurrants are thought to help protect against both Alzheimer’s and heart disease, and act as an anti-inflammatory. 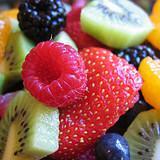 In addition they are believed to inhibit growth of certain types of cancer. Redcurrants are full of bio-flavonoid’s and are thought to help relieve respiratory tract infections and heal bruising very quickly. 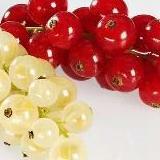 When buying currants, ensure they are very fresh as they will bruise easily and go mushy within a week. Wash thoroughly to remove any chemical residue before eating. 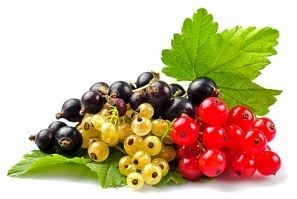 Compare currants nutrition facts to the other fruits.